Recently I was invited to be the judge of the Epicurean Star Award Singapore 2013 organised by the Restaurant Association Of Singapore, and my assigned category was Best Bakery / Bistro / Café. Certainly my favourite award category to be judging for. 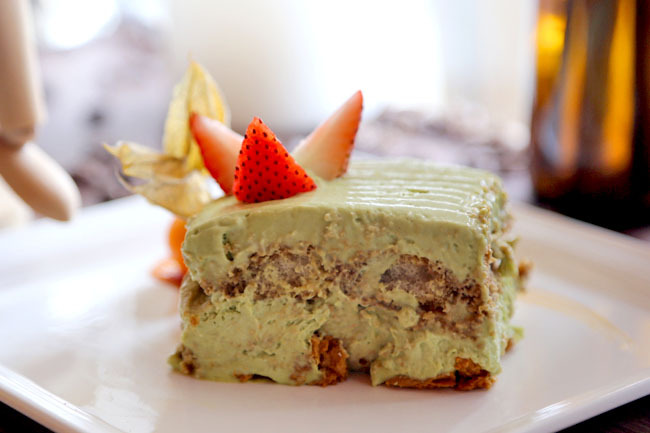 Sun Ray Café is one of the nominees for Best Café. While it is possibly the most unknown or smallest in scale amongst all in the list, this little café at Serangoon Garden Estate has left very positive impressions for my co-judge Chef Judy Koh and me. We were secretly rooting for it, though it didn’t win in the end. One of Sun Ray’s biggest appeals is that it is pets-friendly (NEA-licensed). 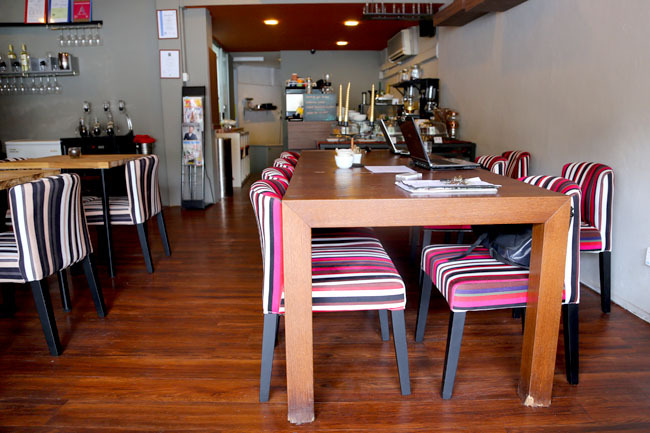 The café is divided into two main rooms – the left for pets with their owners, and the other, well for just the humans. So if you happen to be allergic to say animal-fur, the cafe is divided into two parts. Some came with their children, some spent their afternoons away typing on their laptop. Getting to its location at Brighton Crescent posed to be quite a bit of a challenge, a number of bus stops away from Serangoon Central, in the middle of rich men’ terrace houses. But I am glad I finally made it there. Unlike the usual run-of-the-mill café food selections, Sun Ray seems quite serious in providing a menu departing from the selections of off-the-shelf food, with a team of 3 chefs preparing grills, pastas and mains such as Pork Rack ($25), Striploin ($25) and Lamb Shanks ($25). 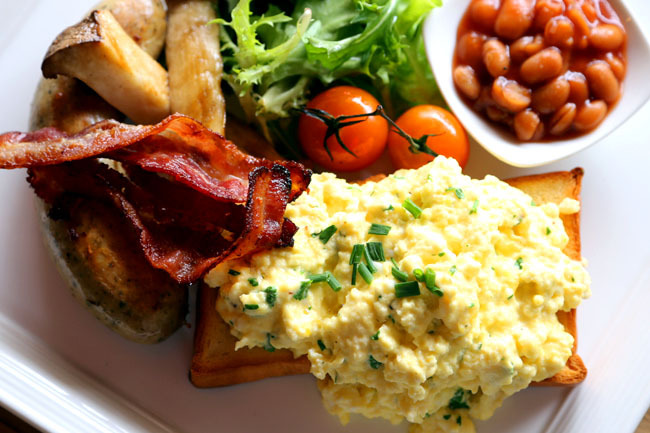 Its American Brunch Set ($20) is a generous plate of German bratwurst, scrambled eggs, streaky bacon, roasted tomato, sautéed mushrooms, and baked beans served with traditional Singapore style toast. While the egg set was not spectacularly memorable, it was decent and made happy food. 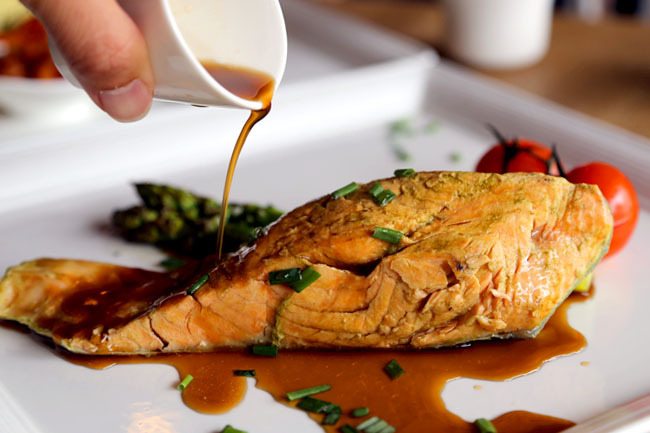 I was intrigued by the preparation method of the Salmon ($22), green tea infused poached salmon served with boiled asparagus, vine tomatoes and aged soy reduction. While the green tea did not surface too strongly (though it gave the fish a paler colour), the reduction worked perfectly with the tender succulent cut, giving it a rather Asian flair. One thing you notice from Sun Ray is their passion. They started as a humble café, and didn’t get much wave unlike the other hippie joints. But they persevered; now roast their own coffee to provide fresh brews. Coffee is ridiculously affordable in today’s context. 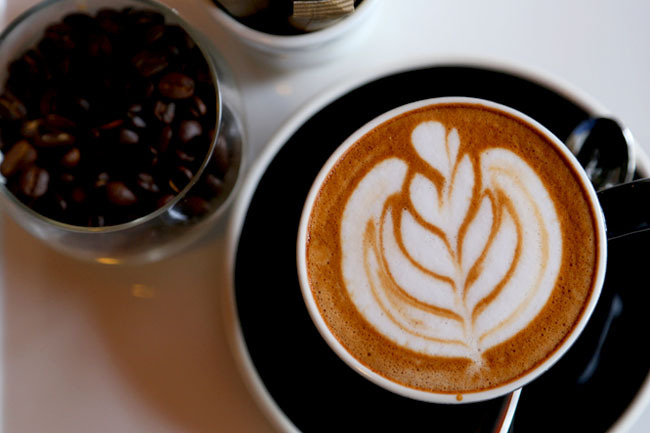 Espresso, macchiato and ristretto are at $3, and flat white, café latte and cappuccino at $4. I throughly enjoyed my cup of mocha, balanced, not too acidic or intense (to the lighter side as I have much preferred), and aromatic. Being a anonymous judge, I posed some questions and challenges to the wait staff, and all were answered promptly. 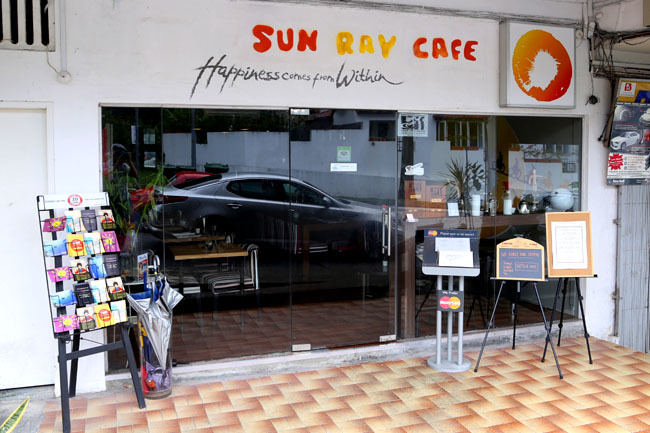 While it does not give a very polished rendition of some items, you feel that Sun Ray is extremely personable, and easily a place you spend lazing away with friends. It does feel a little like home. ← Slim Fry with Samsung Smart Oven – Healthier and Crispy Deep Fried Food!